Meditation is one of the many classes we offer at Kula Yoga. In meditation, you’ll practice techniques and different breathing exercises to allow you to see clearly and seek relaxation. Along with our yoga therapy, meditation is targeted toward mental and, in turn, physical health. Meditation is about finding your inner peace and seeking effective therapy that will work for your mind and your body. If you’re interested in meditation or yoga therapy, then sign up to take a class at Kula Yoga. We will enhance your life by introducing you to your own personal journey through finding a better state of mind while feeling physically rejuvenated. Meditation is a personal practice that allows you to focus your attention on one specific thing. This could be the pattern of your breathing or it could be the sensation of your body or even a specific object that is around you. For example, you can concentrate on the feeling of your hands clasped together or checking in with your body. There are other types of meditation as well that are called open-monitoring meditation where you pay attention to what’s going on around you without reacting to the actions of others. Meditation is based on focusing on a specific point when your brain begins to wander. These techniques are made to help your mental and physical health. 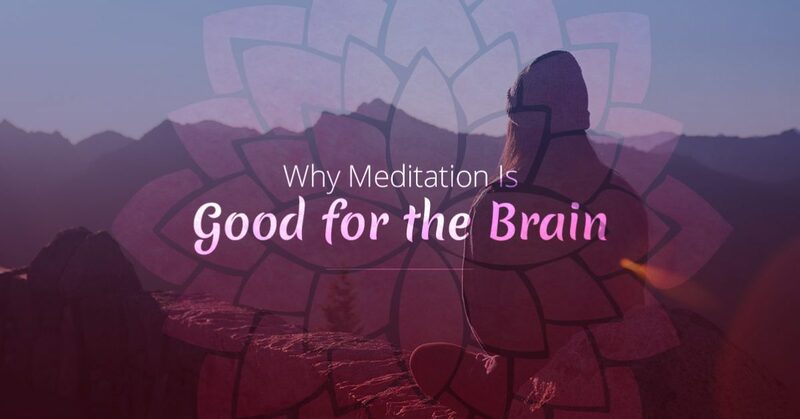 Now that you know what meditation is, let’s dive into how meditation can affect your brain. Meditation has some pretty major effects on the brain. With so much meditation-and-the-brain research floating around, it has steadily become more and more popular to learn the correlations between the brain and meditation. There are many benefits to meditation, but we wanted to break down the top three we felt you could learn the most from. In addition to these three factors, meditation can also help to reduce the activity in the me-center of the brain, it helps with depression and reducing anxiety, as well as addiction. It can also help in schools by concentrating on the cognitive and the emotional benefits of the developing brain in a child. Meditation is able to help preserve the aging of the brain. What exactly does this mean? It means that as you age, if you’re a long-term meditator, then the preservation of your brain is a lot more progressive than people who are aging and were non-meditators. When we get older, there are many factors that can affect the brain. By meditating, those factors can be decreased. They can’t be completely erased, but aging in the brain is comparably less than those who don’t meditate at all. At Harvard, a woman named Sara Lazar found in 2011 that meditation can change the structure of the brain. It was found that the cortical thickness in the hippocampus increased, which is the learning and memory portion of the brain. Additionally, in certain regions of the brain that have to do with emotional regulation and self-referential processing, there were positive changes as well. The areas of the brain with decreases were where the brain cell volume in the amygdala is. The amygdala area is what makes you fearful, anxious, and stressed out. What was really neat in this research, was that the people who were involved in the experiment reported that they had changed stress levels. This depicts that meditation changes the brain as well as the perception of a person’s feelings. Meditation also is shown to improve the concentration and the attention of a person. Issues with concentration aren’t just something a child deals with. Short attention spaces and concentration affects adults as well regardless if someone is ADD or ADHD. Meditation is something that hugely impacts concentration and improves the attention of an individual. There are schools now that incorporate meditation into classes because it helps a person focus, as well as helps with the memory portion of the brain. Focus and concentration are extremely important regardless of the age of a person. Concentration is a cognitive skill that helps to make you a better candidate for a job, it also helps with standardized tests as well as focusing on doing certain tasks. How Can You Do Meditation? Come visit Kula Yoga! Our meditation class is perfect for those who have never meditated, as well as those who are very experienced in it. For further information, take the time to contact us.